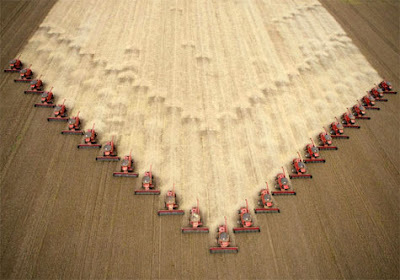 An aerial view of harvesters combing the farm in Tangara da Serra, Mato Grosso. Brazil's 2008-2009 soybean production is estimated to be 57.2 million tons. what type of yields are being reporded?